Great expectations and sod's law. It was typical of Leicester City that one of the most dire games of the season should be supported so well. Nearly 8,000 made the City Ground their own and it was their team that failed to turn-up until well into the second half. Another day and the Foxes could've snatched a win but, as it happened, this was an East Midlands derby that will be quickly forgotten. Don't overestimate the importance of a clean sheet. Yes, the circumstances were slightly different to normal but an away clean sheet is an important thing to take from this game. Too many times Leicester have been guilty of giving away goals this season but, today, they held firm. The telling point? The re-emergence of a certain Bulgarian centre half. To this performance, Aleksander Tunchev's return to league football with Leicester was a mere warm-up. The Bulgarian was a rock at the heart of the Foxes' defence, resiliant and reliable unlike the nervy and distruptive Matt Mills. One word can sum-up Richie Wellens' performance this afternoon: influential. It was the man so criticised this season that made the difference to Leicester City's performance after a dour first half passed devoid of incident. Mr Consistent made a good fist of his return to the City Ground. Paul Konchesky played for the Trees last term, on loan from Liverpool. 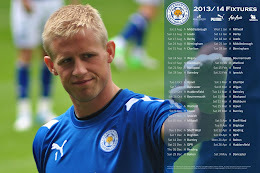 Now on the right side of the Trent, Konchesky is proving a valuable commodity in the Leicester defence. It was never meant to be this way. Schlupp, making his FA Cup bow, was meant to dazzle the country with a spellbinding performance and winning goal. Forest had read the script and that is why they attacked the Ghanaian international early-on. Unfortunately for City, Schlupp was injured in a second, ugly challenge and that was Game Over for him. If it wasn't for Sol Bamba's disappearance to Gabon for the Africa Cup of Nations, Mills would be losing his place to the big Ivorian. On this showing it should be Tunchev - not Mills - partnering Bamba in defence and someone like Konchesky wearing the captain's armband. It is a pity to have to criticise someone, like Mills, enjoying a boyhood dream of playing for his football team but it has to be said that, since his high-profile, high money transfer from Reading, Mills has failed to impress. All failed to take gilt-edged chances that could - should - have seen the Foxes safely through to the fourth round.